A Mystery Quilt is just that -- a mystery. You do not know at the beginning what the quilt top will look like except for the amount of fabric needed and the finished size. 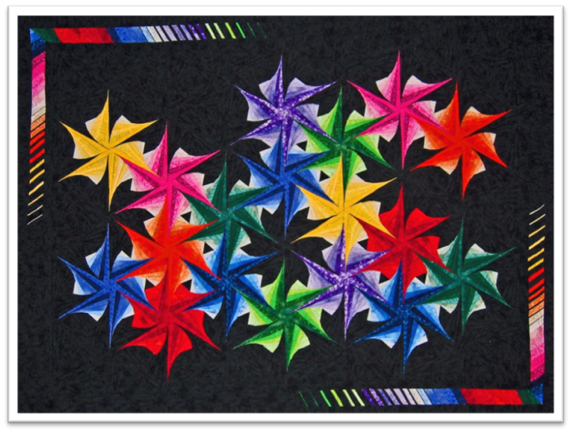 Yet a mystery quilt can be a great project and a good way to spend two days with other quilters for stitching fun. A Mystery Quilt class illustrates just how different each person interprets a pattern from basic clues, but without knowing what the final quilt will look like. 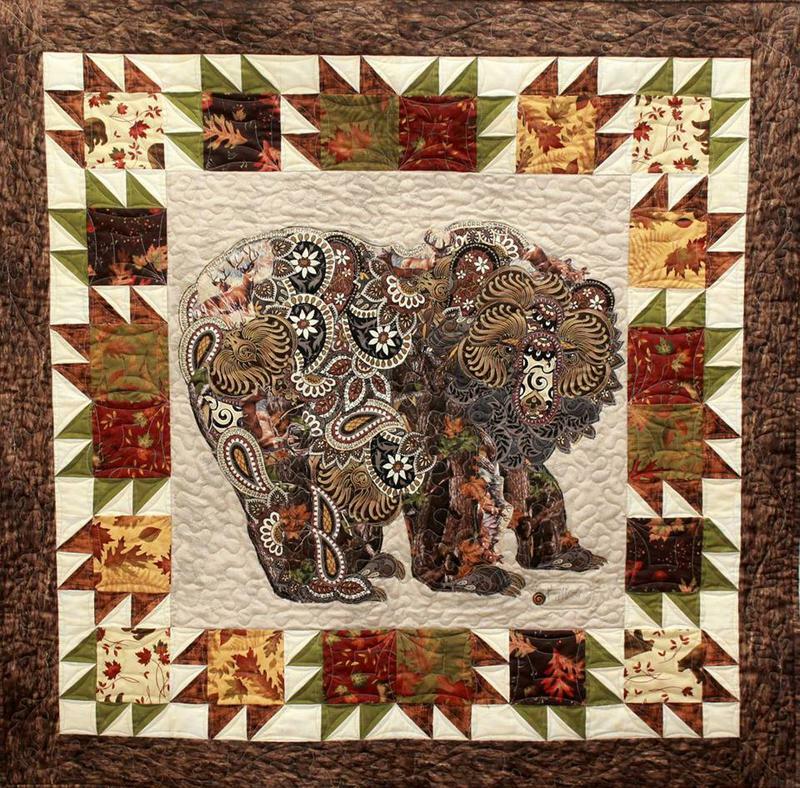 If you are interested in fabric art and exploring fabric-collage quilts then here is a wonderful opportunity to learn the techniques for creative, fabric-collage quilts by the designers themselves! 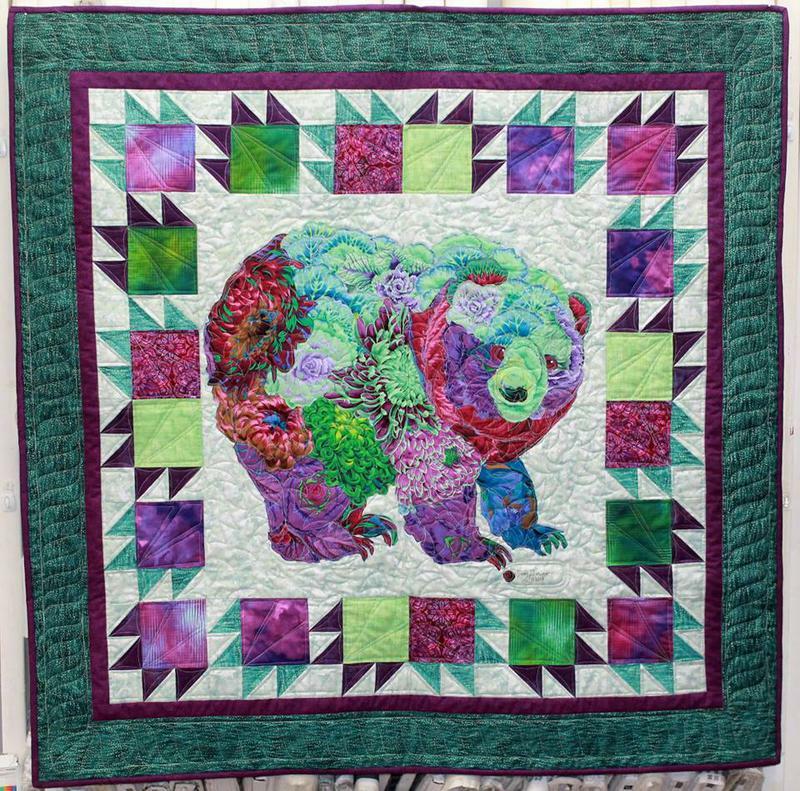 For this one day class you will completing the center bear in collage applique. Pattern cost is $17.99 to be paid to teachers. This one day class is an intermediate paper piecing lesson. The spinning whirligigs can be made from six values of a color, or from the same fabric. 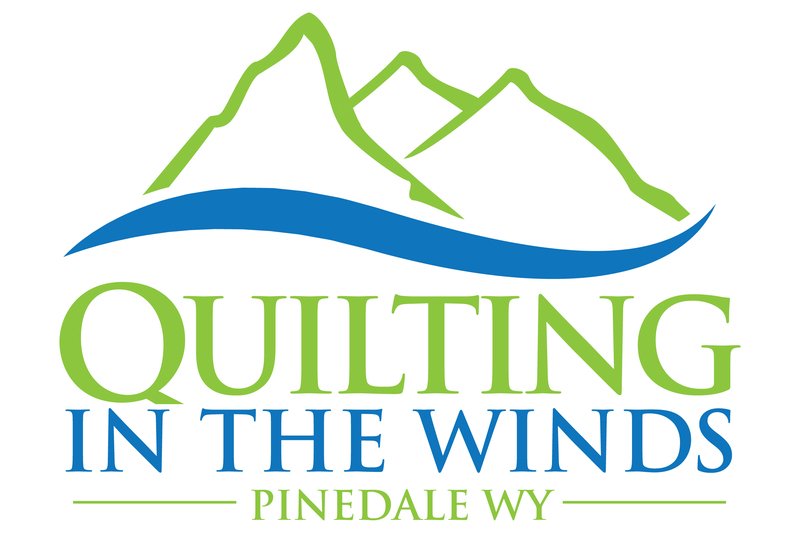 Each student receives a packet with detailed instructions, blank road maps, colored road maps to duplicate both of Susan’s completed whirligig quilts, a reproducible pattern and a collection of various foundation papers (pre-printed, so sewing can begin quickly). Kit Cost $10.00 to be paid to teacher. 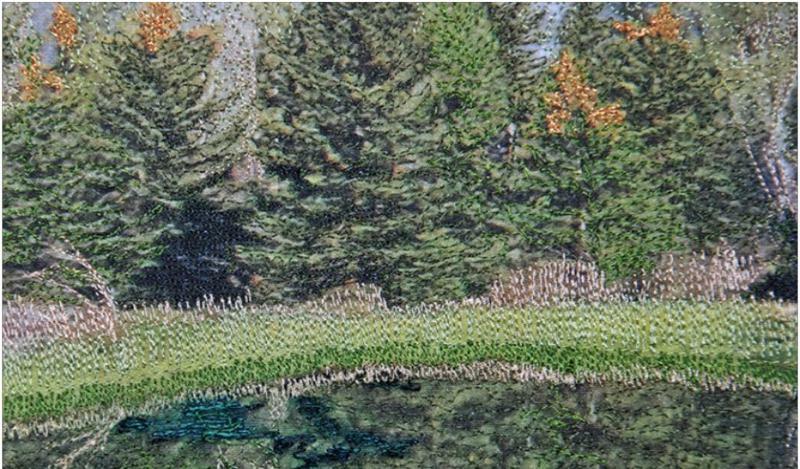 Our morning will be spent learning to embellish with thread – thread painting, thread play, couching, shading and more. Included will be machine set-up, thread choices, bobbins, tools that can help, and practice with new skills. The afternoon will have you playing with so many other types of embellishments! You will try paints, pencils, Angelina fibers, crystals, beads, and more. All supplies needed for the afternoon will be provided; you can just experiment and play. We will also cover methods you can use to help hide mistakes or correct stitching. Let’s recover a standard folding chair into a chair that says “Take a Seat” and do enjoy. 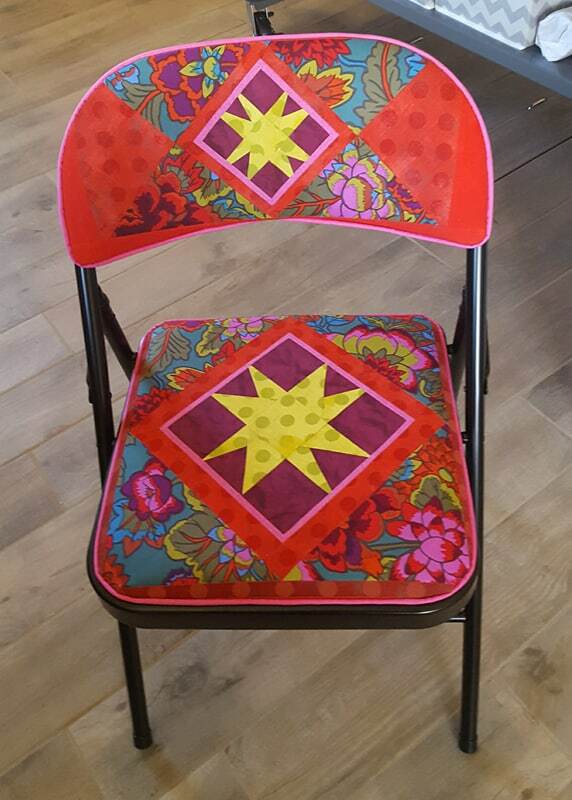 Imagine displaying your own personal collection of four coordinating chairs for guests or quilting friends at your next event or just have a spare chair hanging about your sewing studio that adds a bit of fun. 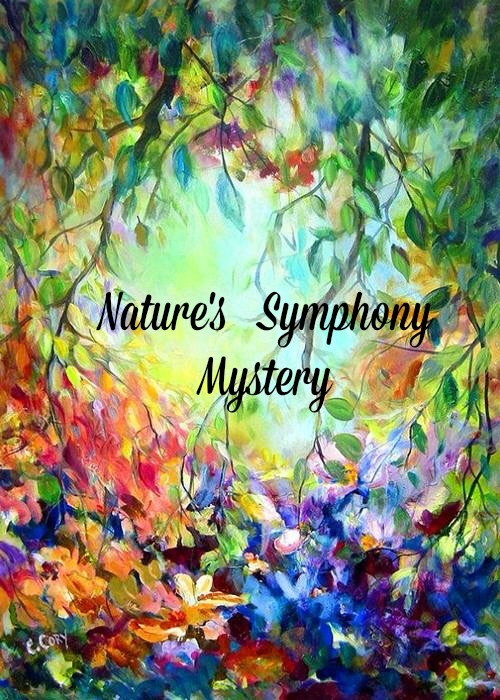 Join us for two days creating the covers that turn dull into WOW!